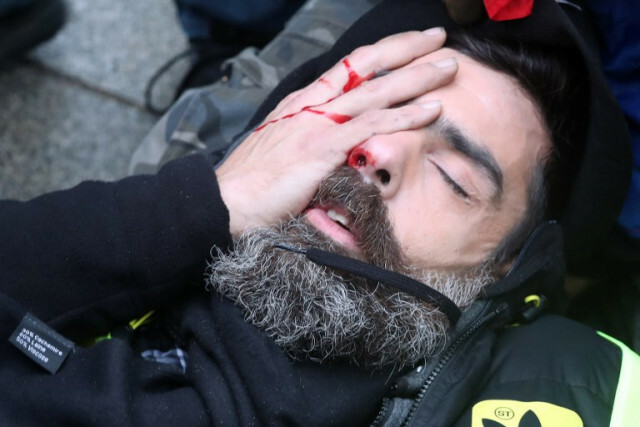 A Yellow Vest leader hit in the face by a rubber bullet during a protest has been placed in a coma and is likely to be disabled for life. 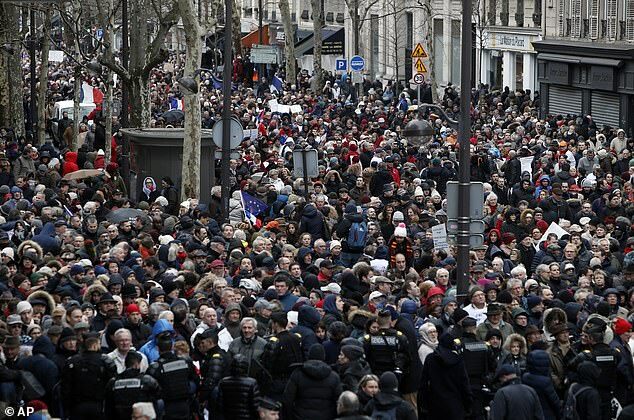 Anti-government protesters believe Jerome Rodrigues was deliberately targeted and called for ‘a mass uprising’ against President Emmanuel Macron‘s government following the wounding. Today Philippe de Veule, Mr Rodrigues’s lawyer, confirmed his client has been ‘placed in an artificial coma’ and was likely to be ‘handicapped for life’. 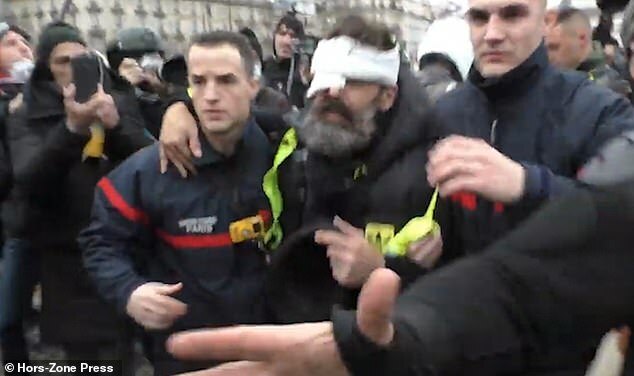 Mr Rodrigues was in Place de la Bastille, one of the French capital’s most famous squares, during rioting on Saturday afternoon when he was hit in the right eye. 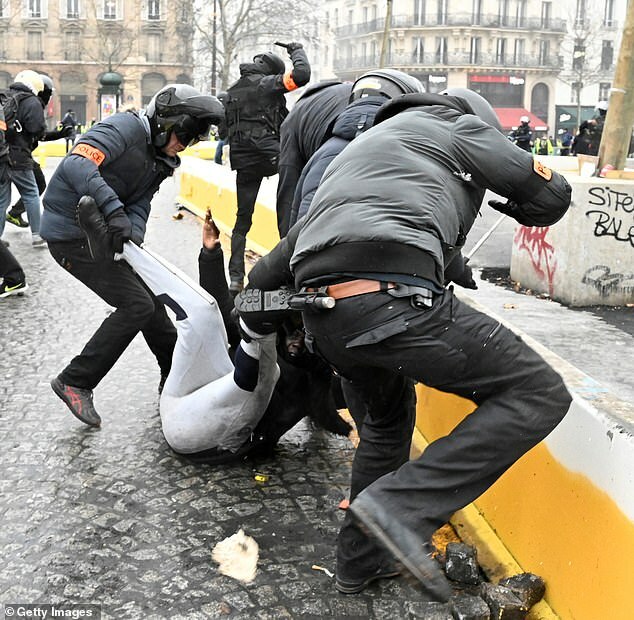 The camera suddenly pointed up towards the sky as Mr Rodrigues fell to the ground and concerned protesters surrounded the injured man. 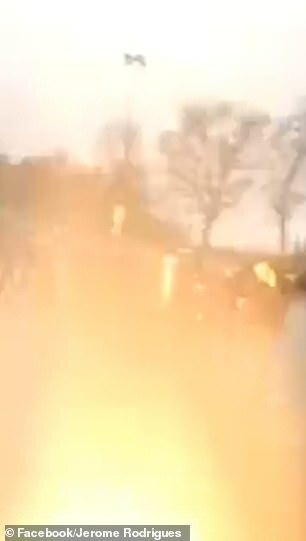 In other clips filmed from other in the area, Mr Rodrigues could be seen clutching his eye as blood poured down his face. 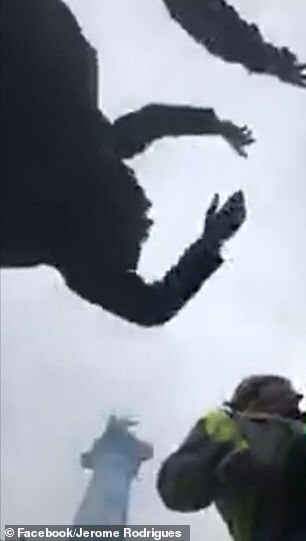 The mobile phone footage was recorded at around 4pm and then posted on social media. 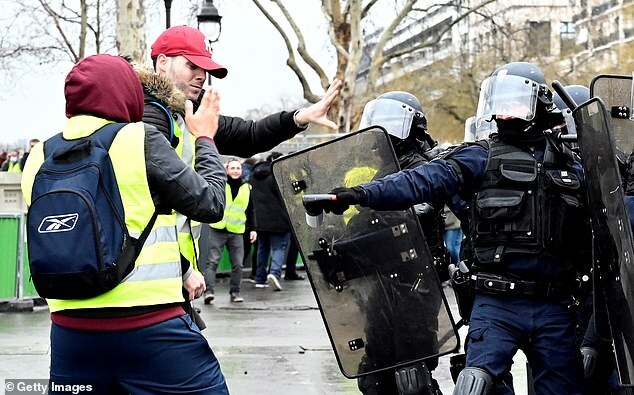 It was the 11th Saturday in a row during which the Yellow Vests – who are named after their high visibility jackets – took to the streets across France. 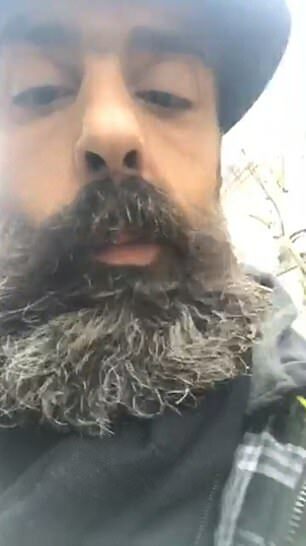 While still conscious, Mr Rodrigues told the LCI news outlet: ‘It’s very painful, I’m waiting for the doctors who have to come and tell me what it is, it’s my right eye, and I think I stayed sedated for seven or eight hours. 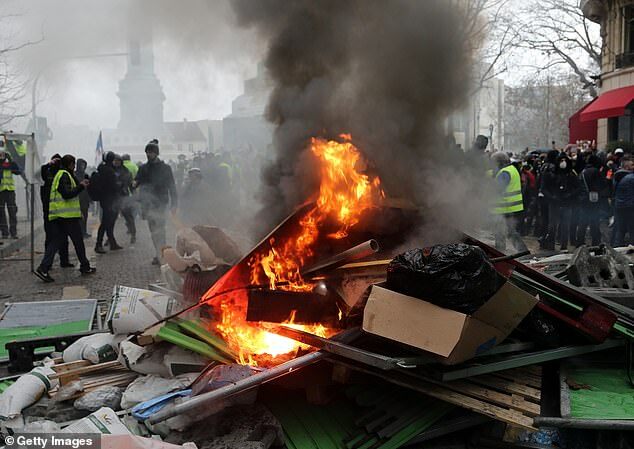 ‘Originally, I arrived on the Place de la Bastille to try to make sure that the Yellow Vests go away, that they can leave the Bastille following attacks by Black Bloc anarchists against the police. In turn, police suggest that a non-lethal grenade exploded in front of Mr Rodrigues, and he was hit by shrapnel. 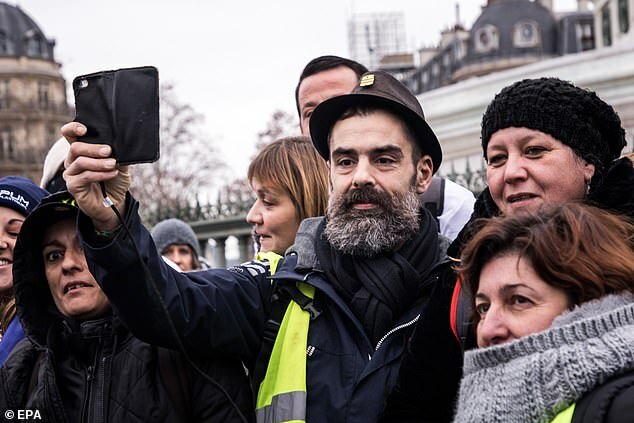 Eric Drouet, another Yellow Vests leader, said the incident justified ‘a mass uprising without precedent by all useful and necessary means’. 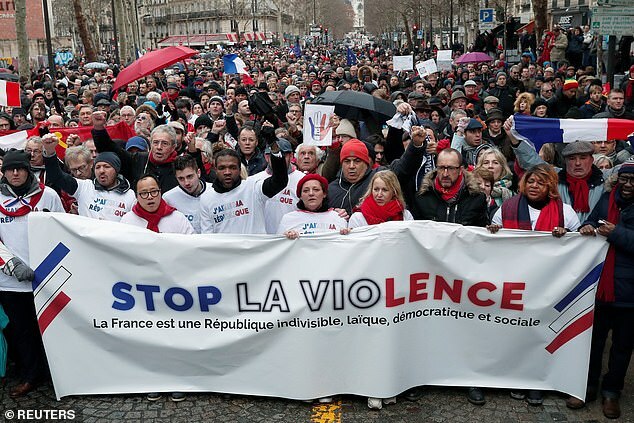 Such words will be of huge concern for Mr Macron, who on Thursday accused British politicians of ‘tearing society apart’ by allowing a Brexit referendum in Britain. 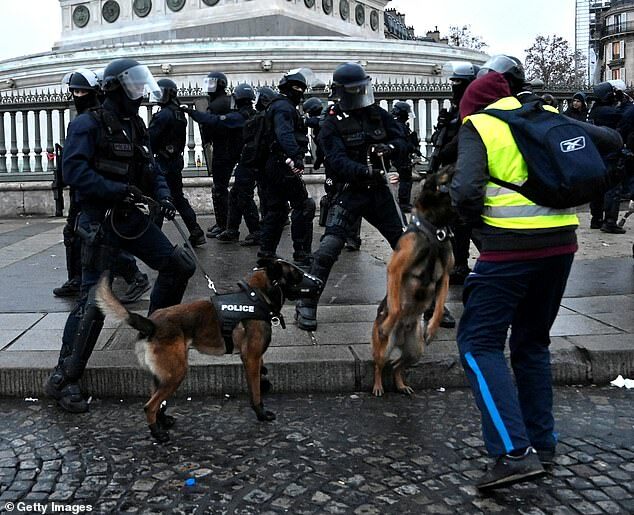 The President’s Interior Minister, Christophe Castaner, said there were more than 60 arrests cross Paris on Satuday, and violence in other major cities including Bordeaux and Marseille. 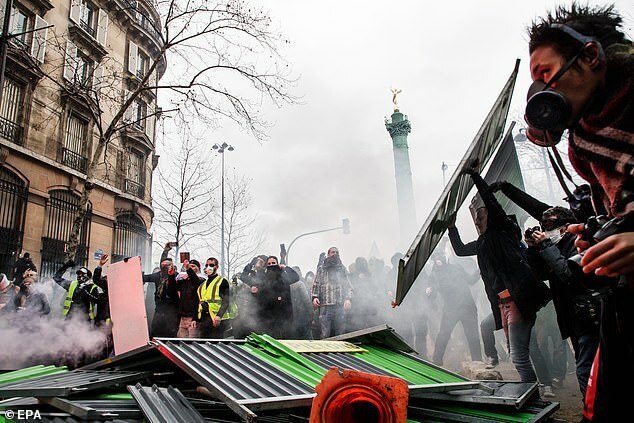 Despite a range of concessions by President Macron including scrapping green taxes of diesel and petrol, the Vests continue to call for him to step down. 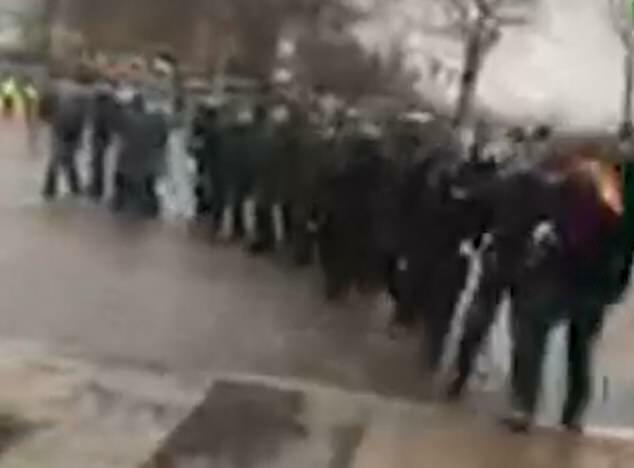 Protestors have been joined by extremists from the far Right and the ultra-Left, as well as anarchists intent on causing as much damage as possible. 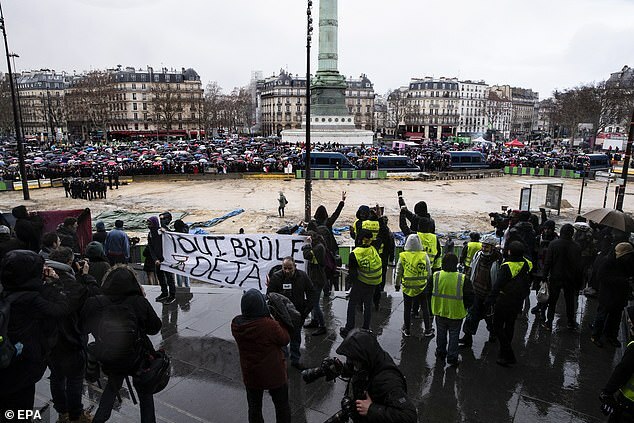 The Yellow Vests said their protests would continue indefinitely as they campaign for even more concessions. 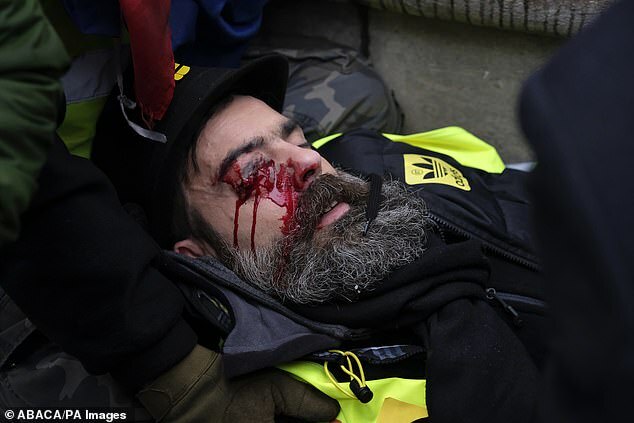 French police are investigating how the prominent yellow vest protester suffered his eye injury, as well as other protest-related injuries. 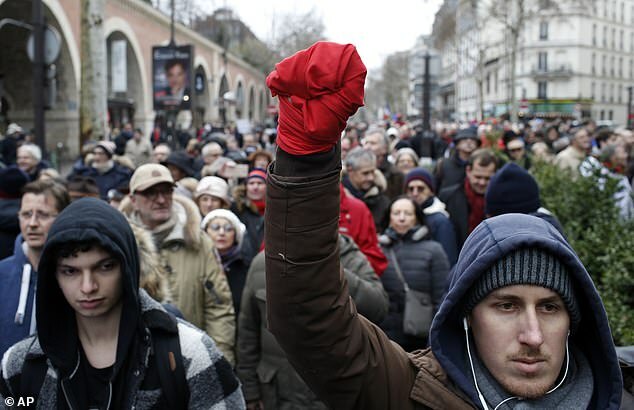 A counter-demonstration is planned Sunday in Paris by groups calling themselves the ‘red scarves’ and ‘blue vests’ to protest the violence. 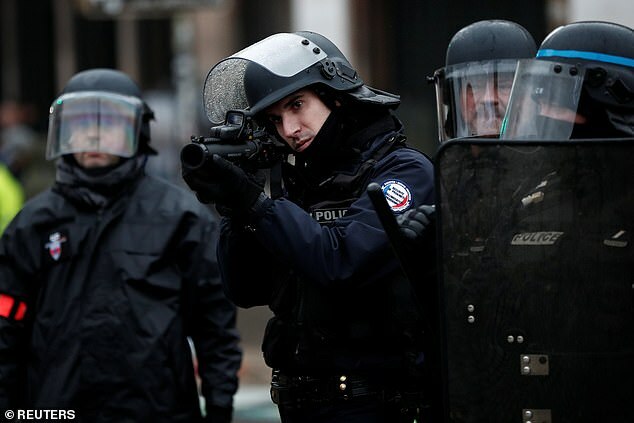 Paris police said Sunday they are investigating the eye injury of Mr Rodrigues, among other protester injuries. The independent Mr Macron, leader of the Republic On The Move party, won the French presidential election in a landslide in 2017. But he is now dubbed the ‘President of the Rich’ with polls showing his popularity rating struggling to get above the 30 per cent mark.